It is an honour to be included in today’s event and to speak to so many illustrious figures in both communities. It is also an opportunity for celebration, as we reflect on your time as Archbishop of Canterbury. In which you have done so much to promote the role of religious belief as a source of truth and compassion within society. 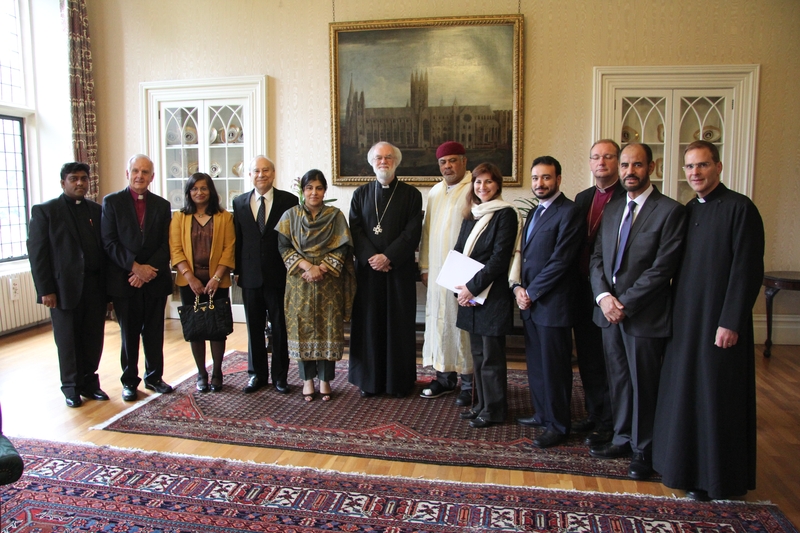 And so much to enhance the relationship between Christians and Muslims, at home and abroad. The Archbishop and I are singing from the same hymn sheet. We have a common foe: aggressive, intolerant secularisation. We have a common belief: in freedom of religion and the freedom to express religion. The Archbishop was deemed radical when he called for Muslims to be able to wear a headscarf. Just as I was attacked when I argued that Christians should be able to wear a crucifix. To think: a Christian standing up for Muslims, and a Muslim standing up for Christians. But the fact is that we are all standing up for faith. Is for people of all faiths – and of none – to come together and speak out against them. To let the world know that all people of goodwill, whatever their faith, have a respected and honoured place in British society and are able to make their own, complementary contributions to the public good. The Archbishop has led the way on this. First, through his interfaith projects here in Britain. Such as the Christian Muslim Forum and the Building Bridges series of events. Second, through engaging with people from around the world of other faiths. For example when we met the Secretary General of the Organisation for Islamic Cooperation – the second largest multi-lateral organisation after the UN. And third, through his thoughtful and ground-breaking scholarship, such as the lectures of which we celebrate the translations today. Where the Archbishop is reaching out to the Muslim world. Showing that our different faiths do not divide us by ensuring our languages do not divide us. For just as St Jerome brought the Bible to the general public by translating it. So too are you bringing your messages of religious freedom, tolerance and progress to millions more people. So congratulations, Your Grace, on all you have achieved. We wish you the very best of luck in your new post in Cambridge. Today we see your speeches published in Urdu and Bangla. But I know in the years to come we will see your words in GujuratI, in Arabic, in Somali, in Turkish and in many more languages. And we will continue to see your good work having a huge influence on our world.